Tuesday evening sees one Serie A clash separated from the rest, as the majority of the midweek round of fixtures are due to be played on Wednesday. Inter play host to an in-form Fiorentina side, both of whom took all three points last weekend. The Nerazzurri snatched a last-minute winner versus Sampdoria on Saturday in the same manner in which they defeated Tottenham in the Champions League, but the Viola were far more convincing in their 3-0 win over SPAL. Serbia international Nikola Milenkovic, former Juventus winger Marko Pjaca, and home-grown talent Federico Chiesa were all on the scoresheet, as Fiorentina showed the kind of form that saw them smash Chievo Verona 6-1 on the opening day. The fearless nature of the Viola attack may scare the San Siro outfit, who have themselves looked anxious on several occasions this season, having let a two-goal home lead to Torino slip to 2-2 and losing 1-0 to both lowly Parma and Sassuolo already this term. Inter have beaten the Viola in no less than 15 of their last 17 attempts at home, and such dominance alone could well persuade football betting fans to back the Nerazzurri on this occasion. 888Sport offer a decent 13/18 on this outcome, a bet well worth considering seeing as Fiorentina have found this such a tough place to go to in the past. This side have not yet found their best form under Coach Luciano Spalletti, however he remains convinced their recent late wins have turned the tide of poor results. “This way of winning shows the character of this team, which keeps fighting for every ball and stays in the game,” the boss admitted after the late win over Samp. A lack of tactical awareness is just one of the criticisms levelled at the boss this term, and there is no doubt he is under pressure, despite the recent duo of late victories. Fiorentina may have struggled versus Inter in general, however their more recent results at San Siro have started to go their way. The Tuscans have won two from their last four versus Inter on their travels, including a 4-1 victory in 2015. Coupled with their excellent goal difference of +8 after five matches in the current campaign (eleven goals scored, three conceded) it seems like Stefano Pioli’s youngsters have a chance here. No less than six of them have been on the scoresheet this season, midfielder Marco Benassi having fired in three plus Chiesa, Giovanni Simeone and defender Milenkovic with two apiece. 888Sport once again offer excellent odds of 4/1 for an away win, and those who have followed Fiorentina’s confident play so far this term may well find great value in a bet to this effect. A look at the stats between these two sides reveals a likelihood of over 2.5 goals, with five of the last six of Inter’s home matches versus Tuesday’s opposition ending with this same outcome. 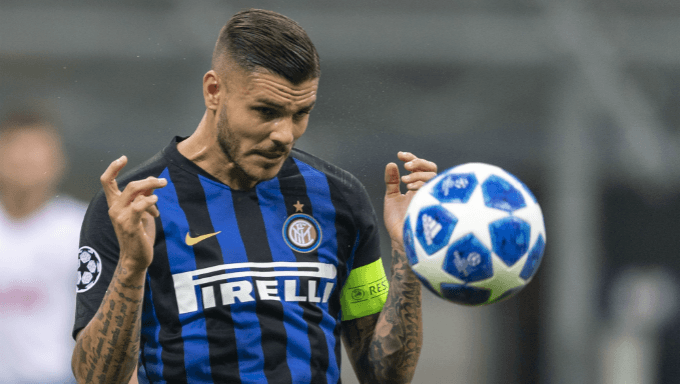 Furthermore, Inter showed versus Tottenham what a fully-fit Mauro Icardi can do, while the Viola also have potential goal scorers all over the pitch. While the Nerazzurri have shown over 2.5 goals in three of their five matches this season, Fiorentina have been held scoreless only once this season, away at Napoli. Such a positive and attacking mentality, coupled with a randomness in the performance from Inter, could see the net breached several times in this match. With this in mind, it is certainly worth a look at Over 2.5 goals, offered at 10/13 by Karamba. The same site also gives odds of 39/20 for over 3.5, which could well be a possibility given the previous form of these two sides in what is set to be a thrilling encounter for the neutral.